With all of the gaming headset options on the market this year, you've got to do something to stand out. PDP's Afterglow Universal Wireless Headset certainly does, as its headband and earcups are illuminated, and glow brightly. Looks are one thing, but price and audio performance matter most to gamers shopping for headsets. Thankfully, this headset stands out on these fronts as well. By my tastes, PDP's Afterglow headset is a bit too flashy. They're literally flashy as the earcups and headband are made of transparent plastic, and are lit with colored LED lighting. Even the extendable boom mic has a LED light built into it, with its color indicating mute status and more. The outer hard, transparent headband stands away from the inner suspension headband by quite a bit, making it look like a big halo around your head. For my tastes, it stands out too far. But, if you're fine with (or even enjoy) your head looking big and glowing as you play games, you'll dig their showy design. The Afterglow fits pretty comfortably on my head, though the tension of the inner, soft suspension band could stand to be a bit more relaxed. The earcups are sufficiently soft, and the whole kit is pretty light. I had no problem wearing these for three hours or more in testing. The Afterglow headset works out to be a 'universal' solution by way of its USB transmitter. When plugged into a PC or MAC, it works as an audio device, instantly transmitting wireless audio to the headset. A cable that runs from the bottom of the transmitter has a standard 1/8" jack can be plugged into several other devices to send audio wirelessly. For most consoles you'll see the included RCA stereo piggyback cables, which grab the audio from your console before it's passed along to whatever device it's plugged into. For those using a Nintendo Wii or an older system, like a PlayStation 2, the RCA stereo piggyback cables work nicely, plugging right into the A/V cable of the system. It's also quite easy to connect the RCA cables (or the 1/8" jack) to your television's audio output, which lets everything coming into your television come through the transmitter and into the headset. Things are a bit more complicated if you're using a TV that does not have audio outputs, or are working in an HDMI-only situation with the Xbox 360 or PS3. You can try to simultaneously use both the A/V and HDMI cables on your console, though you might have to do some audio routing trickery to get it working. If you have an older Xbox 360, you can get the Xbox 360 Audio Adapter, which features stereo RCA outputs. This works perfectly fine alongside an HDMI video connection. Finally, for portable devices, you can directly connect the included 1/8" jack cable to the device and a port on the headset, essentially making them powered headphones. As soon as the transmitter receives power (via USB), pairing is automatic and instant. The Afterglow sounds great. I put this set through its paces with several games on both PS3 and Xbox 360 and came away surprised at how good they sound. The 50mm drivers put forth a clear, full range sound. There's a really great low-end response that never sounds pushed or distorted. 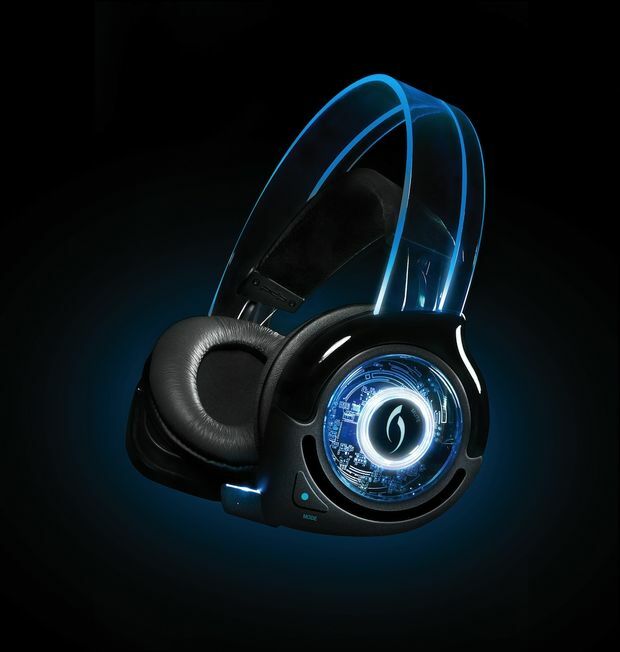 It's a bit odd to have a more sophisticated sound coming out of a headset that glows. A quick couple of test recordings on phone and PC showed that the boom mic does a proper job of picking up the vocal range, and that the noise canceling feature is doing its job. 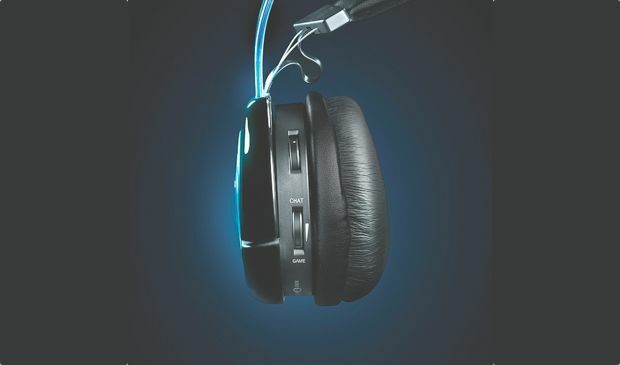 The right earcup end features a large logo'd power button that doubles as a mute button. On the left side you'll find a volume dial and a game/voice mix dial. Below that is a cable jack to connect the headset to an Xbox 360 controller for voice chat. The headset is charged via the included mini-USB cable, and PDP claims 10 hours of use on a single charge. A sound mode button lets you flip through three settings: one for pure audio, another for a more immersive sound, and a bass boost mode. 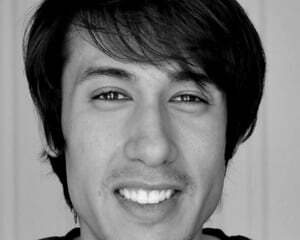 I found that I liked the natural setting the best, though there's nothing wrong with the other two. The only issue I had with the headset was a couple of instances of having the volume drop out after changing the volume dial's setting. By turning it completely down and up the issue was resolved both times. 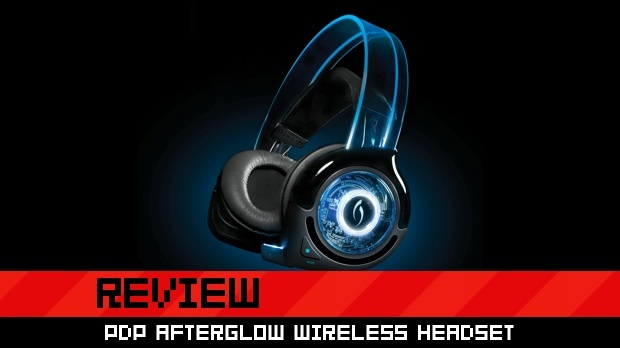 Unless you like looking like you're wearing a lost prop from Tron, you may not dig its design, but the key thing to get from this review is that PDP's Afterglow headset sounds pretty good, and does so at a reasonable price for a wireless set (MSRP $89.99).